i can do ......... what is it you would like? Top man - we'll take this to PM so as not to clog up this thread if thats ok with you!! J.S.Wright and Sons Ltd offer student packs. Yeah i saw that - at this point i dont have the tools for pressing or handling clefts - i'm going to have a go with a few part mades to begin with and will look for additional kit once i know i can do it! BTW anyone know what sort of cash a bat press would go for? I've been googling and there is very little info knocking about on these mysterious machines!! You can get a press second hand from India for a bit less than that, guessing but I suspect that once you factor in import duties and shipping for something that heavy it will be up around £1500 - that said that is for a hand turn press. Essentially you can make your own if you've got a means of applying measured pressure to a rotational steel round the width of a cricket bat face. IIRC someone on here made one, @JK Lewis maybe? @Northern monkey weren't you making a press? They aren't a complicated thing at all so a friendly old school fabrication shop would probably the way to go if you can't do the work yourself, but likely it'd still cost a fair few quid. Easy enough to knock one up, if your either used to that sort of thing, or have a friendly local engineering shop? 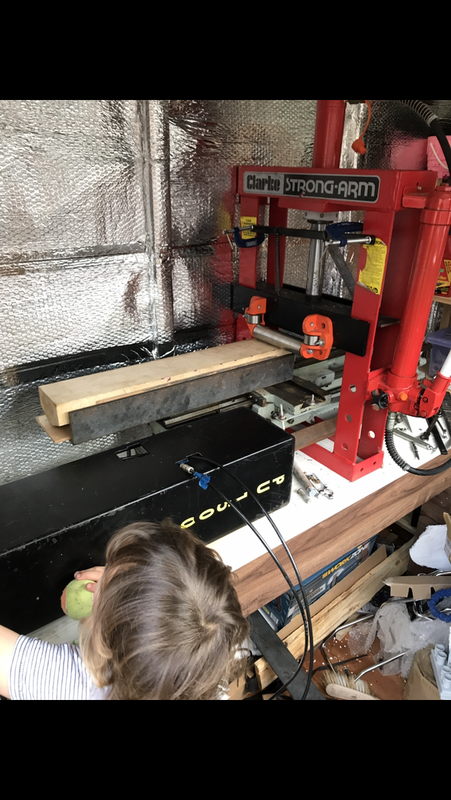 I made one using a long old lathe bed and a hydraulic bearing press, the feed for the cleft was pneumatic from a mobile tyre fitting machine. But I’ve stripped it down as it filled my shed, so I’m going to massively simplify it over the winter. I’m not making loads of bats so it was stupidly over engineered. Most engineering shops will be able to knock one up, and would, I imagine, be keen to do it. 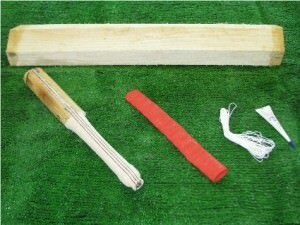 Reckon you could give up making bats and set up a decent bat press making business!! Yeah, exactly the kind of job for your old fashioned engineering shop isn't it. Like your use of an old lathe bed, that makes sense for keeping it fairly simple. Top half of a cider press might be a good plan I reckon! Page created in 0.66 seconds with 38 queries.